Yes. Nursing school is hard. But it’s also worth it, if you’re up for the task. Nurses fill an extraordinarily important role in modern medicine, and their value to the health care community grows each year as the population increases and more people than ever need care. 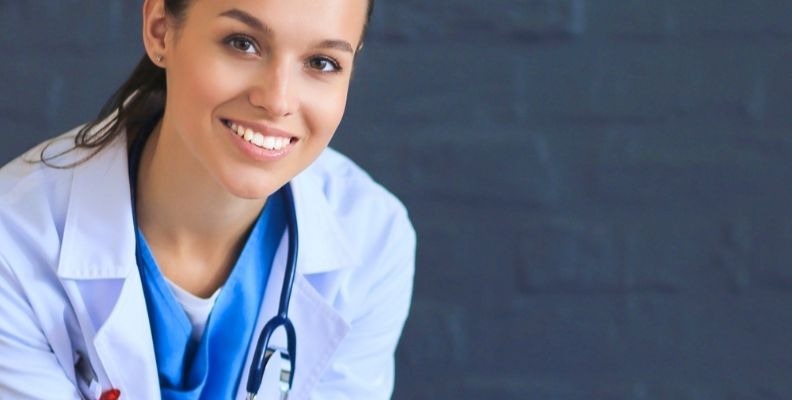 The decision to attend nursing school is an exciting one, but the prospect of learning endless medical terms and mnemonic devices may seem overwhelming, particularly when you add clinicals and real life to the mix! So, yes, nursing school is difficult. And so is the work you’ll do as a nurse. That’s why it is of utmost importance to ask yourself how much you are willing to dedicate to your studies, and even more importantly, to ask yourself if the stress, pressure, and time commitment of nursing school is something you want to replicate in your profession. Nursing education does not end when you graduate and get licensed. As a working nurse, you will always be learning something new, and your career will require long hours, strict attention to detail and commitment to caring for others, day in and day out. So consider your choice wisely and realistically. If nursing schools seems like too much, you may want to think ahead to what a nursing position is like before you make your final decision. From coursework and reading to clinicals and memorizing every bone, muscle and ligament in the human body…your time in nursing school will likely throw many challenges your way. Sometimes, it may feel as though there aren’t enough hours in the day to complete all your tasks, but that’s when it’s time to learn some serious time management skills. If you’re not a naturally organized person, you may find the various demands of nursing school overwhelming, particularly in your first few months of class. Developing smart time management skills will not only serve you well during nursing school, but they’ll help you perform at your best once you’ve graduated and you’re a working nurse. In fact, nursing itself is more than just choosing the right answer. There is an inside joke that nursing students like to share, that has to do with choosing the best answer. Once you’ve taken a few nursing exams, you’ll know exactly what I mean here! But this is really no joke. It translates to an important concept in nursing practice as well. You see, in nursing, sometimes the right answer is not available, or not entirely known. Oftentimes in this profession, you will be choosing what is best for your patients, instead of what is simply right. People are complex, and their health is even more complex than they are! Working in healthcare requires that you develop a variety of advanced interpersonal skills and problem-solving skills. Treating a patient requires relying on your own senses and knowledge, as well as the information given to you by the patient. Rarely is the answer a simple 2 + 2 = 4. Mnemonic devices and good memorization skills will only get you so far in nursing school and in the real world. Developing critical thinking is essential to nursing school, and to the profession once you graduate. If you’re planning on becoming an RN and will take the NCLEX exam, working on your communication and comprehensive skills will also serve you well when it comes time to take your test. Dedicated students should review practice tests for the exam throughout their time in nursing school. Nursing school requires that you learn virtually everything that a medical student might who is looking at a future as a doctor. That means the same incredible level of memorization and comprehensive knowledge of the human body, medical terminology, treatments, and all the other factors that influence healthcare today. On top of that, you will be tasked with becoming familiar with how people react to the medical conditions affecting them. Emotional, psychological and spiritual care all falls under the umbrella of nursing. With all that you must learn in your nursing program, it’s not uncommon for students to work in study groups together. It can also be beneficial to seek out help from a tutor, your teachers, and other students if you start to feel overwhelmed. Healthcare is a team effort, and learning to work as a team starts in nursing school, not after you graduate and find work. The bottom line? Nursing school is difficult, but it’s not impossible. If you dedicate yourself fully to your nursing education, and you can find some incredible opportunities for a rewarding job and good income after you graduate.